The adventure begins at home! In the heart of Littleton, discover a new twist on suburban living at Platte 56. 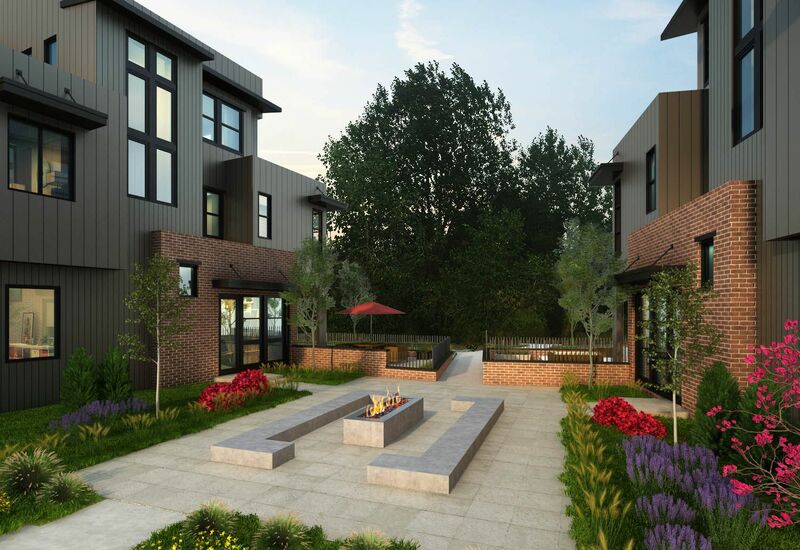 Elevating the beauty of attached new home design, Platte 56 offers the lifestyle you've been dreaming of with open living spaces and indoor-outdoor living areas designed to inspire connection, convenience and celebration. Stay an and cozy up to the fireplace or find the starry Milky Way on the giant 3rd or 4th floor roof top deck. Enjoy beautiful river and mountain views as well as access to amazing outdoor recreation opportunities along the South Platte River. Platte 56 is located along the Mary Carter Greenway Trail and the South Platte River west of Santa Fe Boulevard and north of Belleview. It’s only a mile from Historic Downtown Littleton and the Littleton/Downtown light rail station. Ride your bike or walk to nearby brew pubs, restaurants, Starbucks, the gym or grocery store. Drop a canoe, paddle board, kayak, inner tube, or fishing line in the South Platte; all the outdoor Colorado activities you love are just outside your door. Live where the action is! Live on the riverfront right around the corner from a charming historic downtown, and within easy reach of Denver. You’ll enjoy life in Littleton — a vibrant community voted one of the best small cities in the U.S. Littleton is your neighborhood of choice if you want to venture out into the great outdoors, explore unique shops, or kick back and enjoy local culinary delights and drinks while taking in the beauty of the Rockies. within walking distance of eateries, brew pubs, coffee shops, salons, boutiques, and much more. A few minutes South, to Breckinridge Brewery, Carboy Winery, Carson Nature Center and Aspen Grove shopping district. Historic Downtown Littleton are just a mile away. Target and more just a few minutes to the north at River Point.